Perfectly packaged for any traveller’s fantasy, the Weekend Tea Collection spotlights ten distinctive blends, each exhibited in curated, travel-sized, 50g tins sold in gift boxes and sleeves in any combination of 2, 3 or 5 tins. 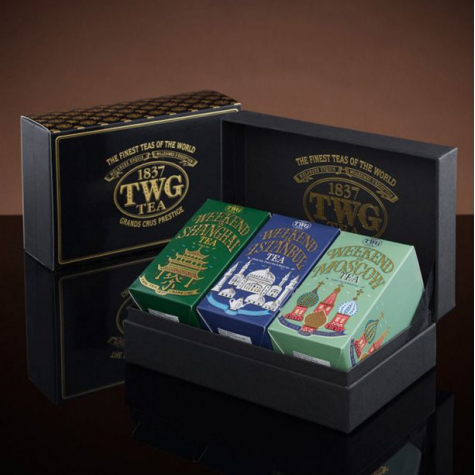 These exclusive creations conveniently epitomise the luxury of travel while exhibiting TWG Tea’s stunning artistry. Teas cannot be sold separately.